These are powerful statements. But when we consider the struggles that today’s Catholic families face, it becomes clear that we, as a Church, need to do more to help families fulfill God’s plan for their lives. That’s why, in this month of St. Valentine’s Day, I’m excited to announce a new project that I hope will be seen as a love letter to Catholic families. It is a project that is intended to spark a renewal of the domestic church. And we need your help to make it happen. 1. How are Catholic families called to be different? Are Catholic families supposed to live, act and relate to each other differently than other families? 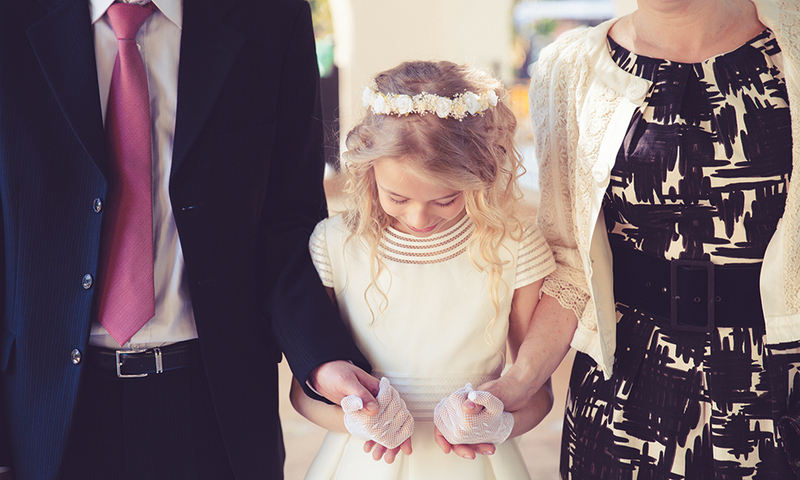 Should our Catholic faith inform the way we parent and live as a family? If so, how? What difference should our Catholic faith make in the daily life of Catholic households? 2. What does an authentic, domestic-church-based spirituality look like? Most of what we think of as Catholic spirituality is drawn from the monastic and clerical traditions. It just doesn’t fit well into messy family life. My wife and I regularly field calls on our radio program from faithful Catholics who say, “I used to have a great prayer life … and then I got married and had kids.” It makes no sense that the vocation of marriage and family life should somehow be seen as hostile to experiencing a dynamic, fulfilling spiritual life, but believe it or not, there has never been a meaningful conversation in the Church’s history about what an authentic domestic-church-based spirituality looks like! Sixty years after the Second Vatican Council proclaimed the universal call to holiness and the significance of the domestic church’s role in building the kingdom of God, it’s time to figure it out. 3. How can families foster intentional discipleship? Too much of the Church’s ministry efforts are focused on finding lost sheep that we never should have lost in the first place. How can families be empowered to practice intentional discipleship in the home and raise the next generation of intentional disciples? What can the most current research tell us about what it takes to raise children who are passionate about owning and living their faith as adults? 4. How can Catholic families become outposts of evangelization and instruments of positive social change? There are many people who will never cross the threshold of a Church or benefit from Church ministries. But these people are our brothers and sisters, cousins, neighbors and co-workers. How can we stop treating Catholic families as merely passive beneficiaries of pastoral services (or, worse, rocks around the necks of directors of religious education) and instead equip Catholic families to be partners with the Church in bringing Christ to a hurting world? Although the symposium itself is an invitation-only opportunity for family life experts in the fields of theology, the social sciences and pastoral ministry to share their research and wisdom, we need your input to bring this important conversation to the world. I invite you to share your thoughts about the four questions I described above by completing the survey at the symposium website (CFLSymposium.org). 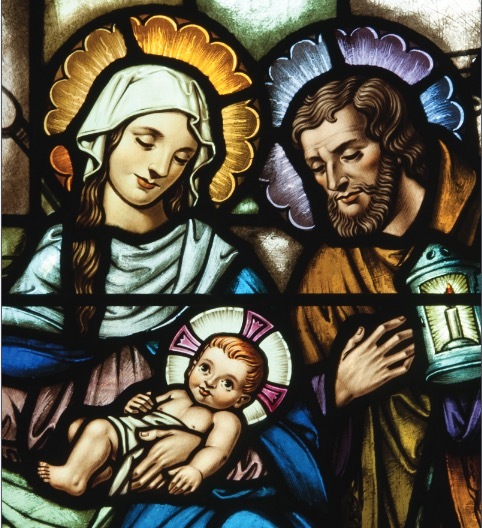 Please share the link on social media so that every Catholic family’s voice can be heard on these important questions for the life of the Church. Rather than being a one-off event, we intend the symposium to be the match that lights a larger fire. The symposium will launch the brand new Catholic Family Life Institute, which will have the mission of continuing the conversation about the renewal of domestic-church life. The institute will produce original research, conferences, dynamic resources and other initiatives that will help all Catholic families become the lights to the world that God created them to be. The Church needs strong Catholics families. Let’s work together to set the world on fire with God’s love. Dr. Greg Popcak is the author of many books on family life and the organizer of the Symposium for Catholic Family Life and Spirituality. Share your thoughts about Catholic family spirituality at CFLSymposium.org.